Finally, here is a movie that utilizes 3D elements cleverly, resulting in ample breathtaking moments and slick humour in its modest running time of 90-odd minutes. The new Dreamworks animation film - How To Train Your Dragon (3D) is set in the land of Vikings where dragons wreck havoc and carry off livestock, apart from endangering the clan. In a family born to fight and kill dragons, things turn on their head when the chieftain's son, Hiccup ends up capturing an elusive dragon - Night Fury, and discovers that the creatures are not that murderous after all. Moreover, the dragons seem to be acting more on compulsion and fear of a mysterious power. It is up to Hiccup to figure out things with the help of his fire-breathing friend. A roller coaster of a ride, with effective, spot-on voice-overs of the characters, high-quality animation and excellent storytelling - this one is highly-recommended for all cinema lovers. Go for it! 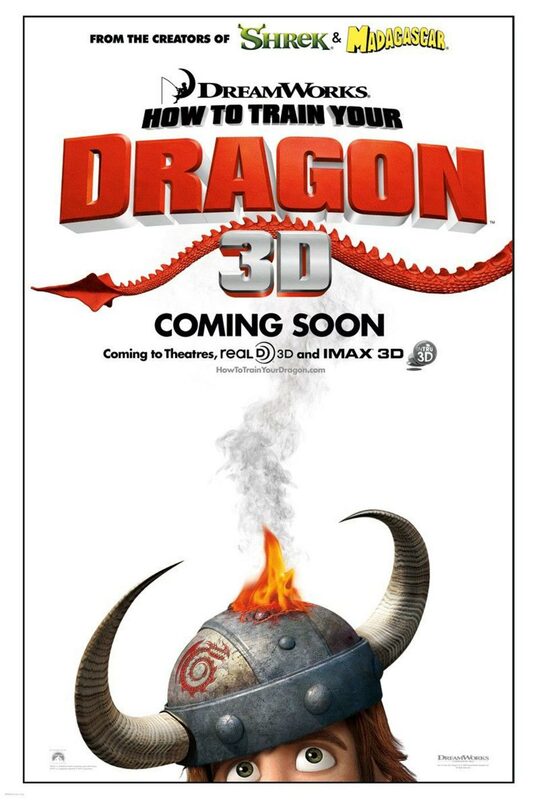 For the first time, we can say - we didn't mind shelling extra for the 3D! Otherwise, post Avatar, the subsequent 3D wannabes have been looking like con jobs.